Go check out the prize on our page its gorgeous! here is my Take on this fornights Challenge and I cant say its been easy I found this one very tricky so tried to keep it simple as possible. A little note-let I think i will make a few more and then I will have a nice little set. I have used nesties, a die from Paper Mania, and the papers are from the papermania range too I think, Gems and ribbon from my stash. Dont forget we are a multi craft challenge blog so your make doesnt have to be a card, infact go check out the dt and see what they have made! Fabulous card Lisa! 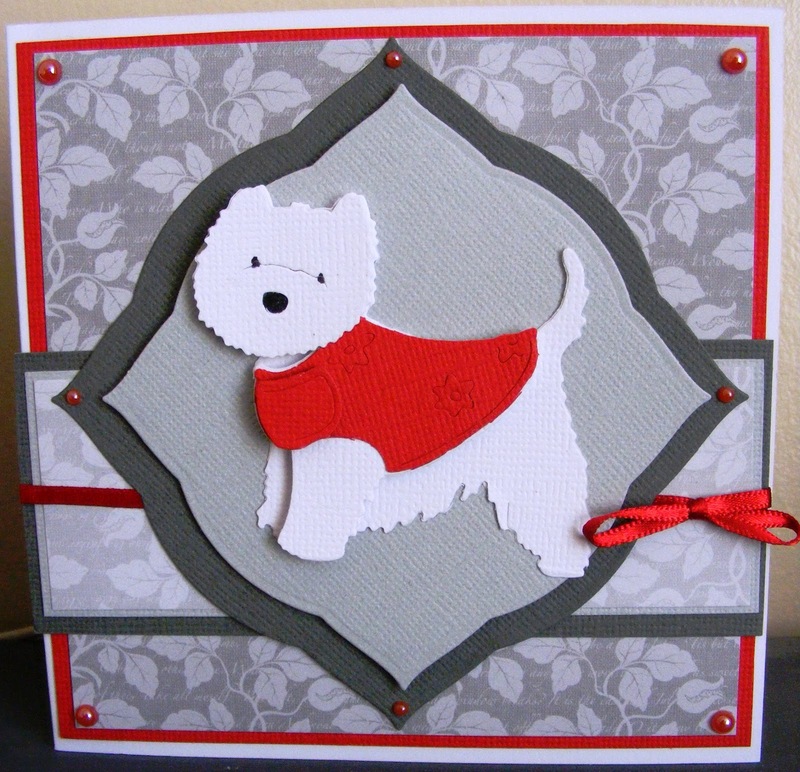 Your doggy die cut is perfect, and ever so cute. And red is always a fab choice to go with greys, it really lifts the colours.